Susan Lee Studios: The story IS the thing. L - R: A vase of my parents' that was always a part of "home" , a smoke fired vase I found on a family trip to NZ, a raku urn by Jose Drouin from Quebec, a vase I threw on the wheel and didn't quite squish, and a wooden cardinal from a cousin. I've always admired people that divest themselves of all their worldly possessions in order to experience a freedom from the commercialism of life. It sounds so noble. And yes, I imagine it does make activities like travelling and house cleaning much easier. But I can't follow suit. I look around at all the stuff I've accumulated over the years, and I treasure it. Sure, I can purge every once in a while too, and it is uplifting to pass things on and create space, but I don't think I could ever let it all go. I'm attached to my things, because in them are stories. When my eyes fall upon a particular ornament or a piece of furniture, it takes me travelling in my mind, back to the person that gave it to me, or how it was that I acquired it in the first place. These stories give me a sense of security about my place in the world, amongst the people I know and have known. Maybe I should be able to remember all these stories, in the absence of the things, but I'm a very visual person, and just like losing oneself in a good book, and being transported to another place, so too do my things occasion such reminiscences. I like the randomness with which memories will pop to my mind, and it all begins when I happen to glance at a treasured object that has found its way into my personal space. 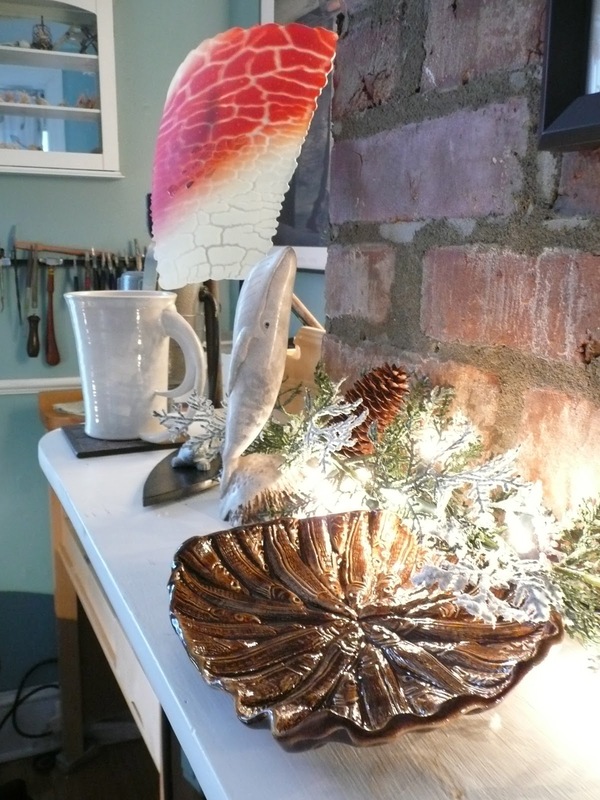 L - R: "The Home Guide to Taxidermy & Tanning" a book into a mug by Maaike Charron, "Leap" glass sculpture by Urve Manuel (that brings to mind a trip to Goldstream Park with a dear friend and her Mom many years ago - my what a smell! 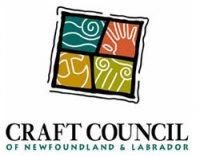 ), a tiny seal sculpture from Greenland, a humpback whale sculpture by Clyde Drew, and a capelin dish by King's Point Pottery. I think this attitude towards things parallels my attitude towards the "handmade" in general, and keeps me moving forward along this path of making my own work to sell. 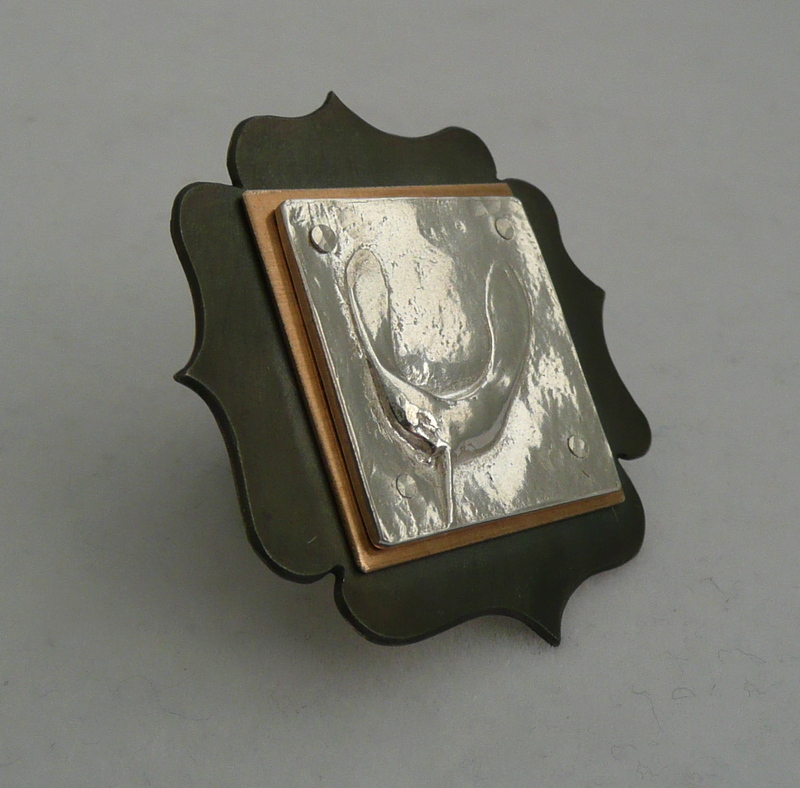 I hope that when people choose a piece of my jewellery, (first of all that they love it! ), but also, even subconsciously, that they recognize the value in the story they are participating in. That's not to say that my part in the story is overly-significant, other than I was the original maker, because that is only the first chapter. By buying something handmade, it has a uniqueness, that hopefully will be valued by the recipient, and will bring to mind for them the occasion on which they received it, or the person who gave it to them. And so the story begins to grow. Maybe it will be treasured by one person only, but perhaps it will change hands, as a gift or maybe a flea-market find. All these transactions and interactions add to the story of the thing, which may or may not be remembered and valued. 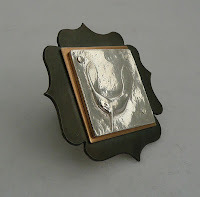 But it is my hope as a participant in this current trend of "supporting handmade", that some pieces of my jewellery will travel on into people's lives, and start building stories that bring fond reminiscences to mind over the coming years. 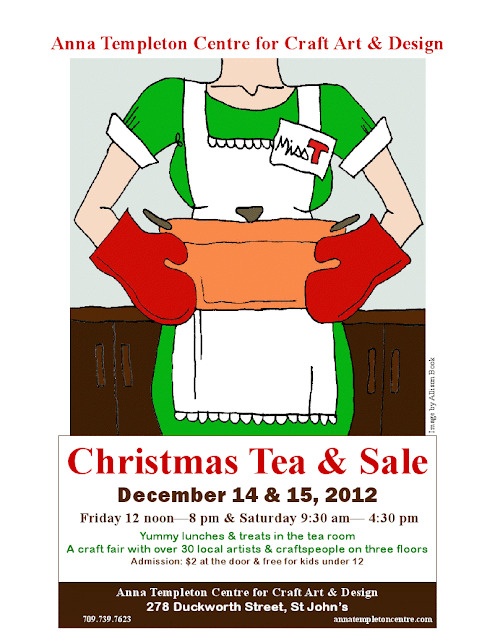 I have one last craft event to participate in before I pack up my workbench for a Christmas break: The Anna Templeton Tea & Sale is this coming weekend! Friday 12-8, and Saturday 9:30-4:30. It's a very relaxed and social affair. And they serve lunch! Or just a plate of sweet treats with tea or coffee if that's more your style. Prices vary accordingly. Admission is just $2. My booth will be in the same place as last year: up on the second floor. There are three full floors of hand-crafted goods, so make a bit of time to stop by Friday or Saturday and do some perusing for those last minute gifts! 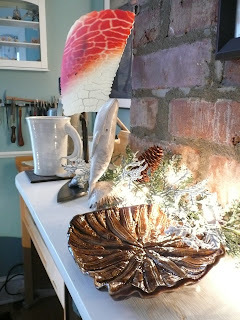 (And if you register for winter craft classes before Dec.16th, you save 10%! I've got two workshops coming up this winter... just sayin'... :) ).